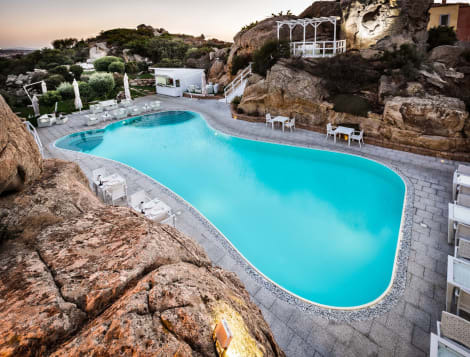 Set in three hectares of Mediterranean vegetation, is a stage for the most famous insular landscape of Gallura, that is the secret of the Grand Hotel Resort Ma&Ma: the possibility to enjoy the privacy that is one of the most exclusive luxuries of today. Situated one hundred and fifty meters from the sea, the Grand Hotel Resort Ma&Ma is the most intense, intimate and exclusive part of Sardinia. Today in this corner of paradise you can finally enjoy your five star holidays in the exclusive surroundings of the Grand Hotel Resort Ma&Ma. Spread over 4 floors in different styles: minimal, casual, romantic and fashion, the 107 rooms of the Grand Hotel Resort Ma&Ma feature a lovely veranda and inside of each and every room everything is devoted to excellence. When you stay at Residenze Le Vele & Le Maree in La Maddalena, you'll be near the beach and 5 minutes by car from Naval Archaeological Museum. This apartment is 24.6 mi (39.6 km) from Capriccioli Beach and 2.1 mi (3.3 km) from Maddalena Archipelago National Park. Enjoy a meal at the restaurant, or stay in and take advantage of the hotel's room service (during limited hours). Quench your thirst with your favorite drink at the bar/lounge. Buffet breakfasts are available daily from 7:30 AM to 10 AM for a fee. When you stay at Hotel Miralonga in La Maddalena, you'll be near the beach and 6 minutes by car from Naval Archaeological Museum. 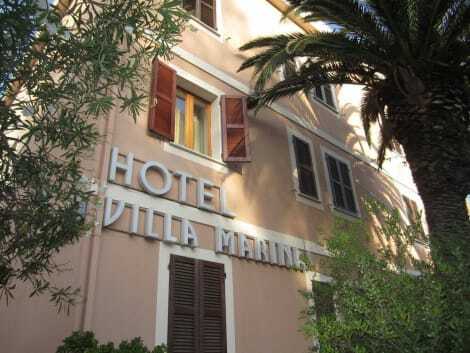 This hotel is 24.5 mi (39.4 km) from Capriccioli Beach and 2.5 mi (4 km) from Maddalena Archipelago National Park. 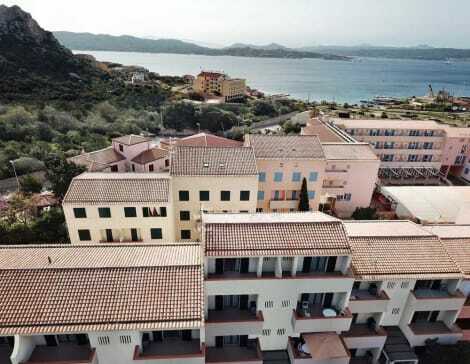 Located in La Maddalena, Hotel Nido D'Aquila is on the waterfront, within a 15-minute drive of Naval Archaeological Museum and Maddalena Archipelago National Park. This hotel is 5 mi (8 km) from Palau Ethnographic Museum and 5.2 mi (8.4 km) from Spalmatore Beach. 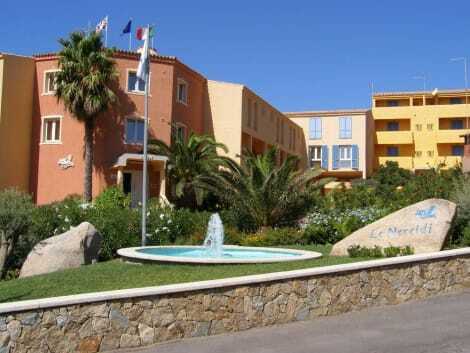 Located in La Maddalena, Hotel Garibaldi is a 1-minute drive from Naval Archaeological Museum and 5 minutes from Maddalena Archipelago National Park. This hotel is 23.8 mi (38.3 km) from Capriccioli Beach and 3.4 mi (5.5 km) from Spalmatore Beach. Located in La Maddalena, Blu Baita is by the sea, within a 10-minute drive of Naval Archaeological Museum and Maddalena Archipelago National Park. This apartment is 4.4 mi (7 km) from Palau Ethnographic Museum and 4.6 mi (7.5 km) from Spalmatore Beach. Head down to the water and enjoy a day at the private beach, or take advantage of other recreational amenities, which include outdoor tennis courts. This hotel also features complimentary wireless Internet access and concierge services. Guests can catch a ride to nearby destinations on the area shuttle (surcharge). lastminute.com has a fantastic range of hotels in La Maddalena, with everything from cheap hotels to luxurious five star accommodation available. We like to live up to our last minute name so remember you can book any one of our excellent La Maddalena hotels up until midnight and stay the same night.